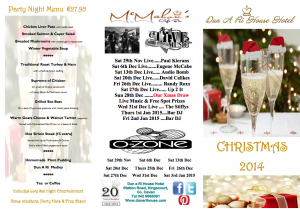 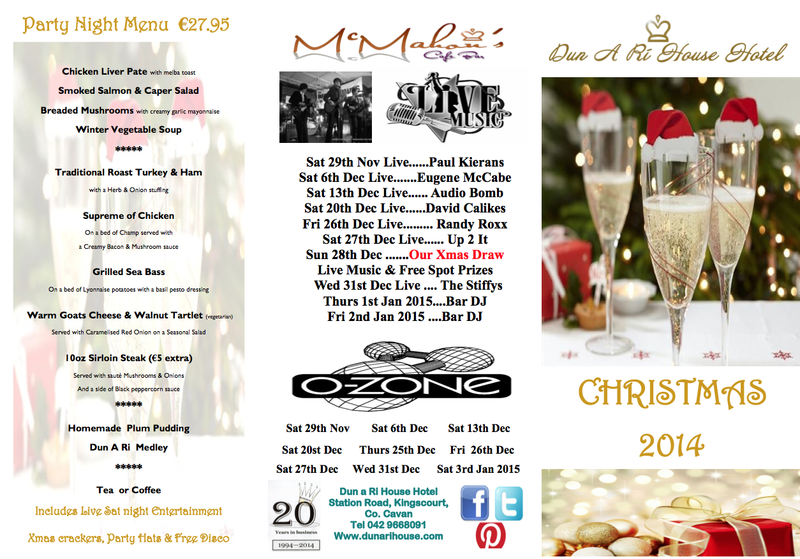 Lots of exciting things coming up for Christmas at Dun a Ri House Hotel in Kingscourt Co. Cavan. 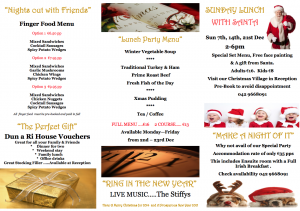 Christmas Party nights, Entertainment, lunch with Santa and Christmas vouchers. 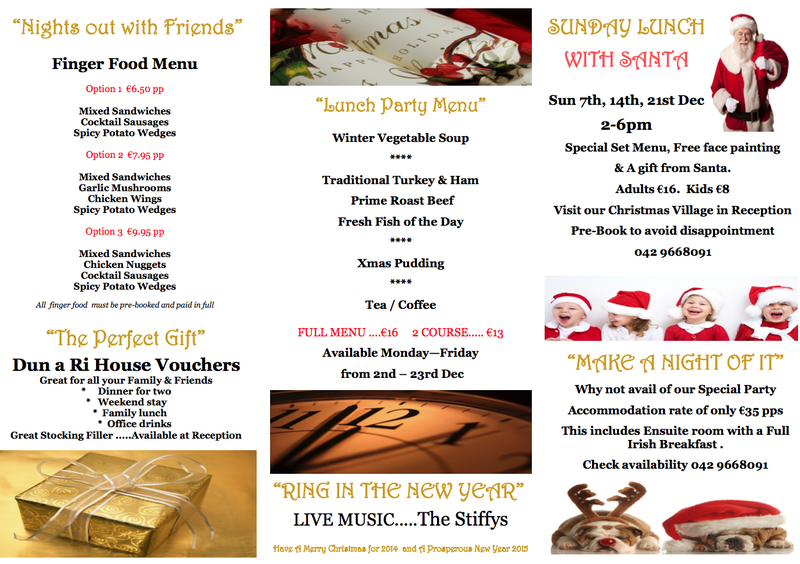 Click on the 2 images below to enlarge to full size.